Communitas provides examples of artists’ and architects’ visionary ideas about possible future cities. Where is your city? A playful participatory map invites visitors to identify and share the place where they like to kiss, their favourite spot for pondering and their third place; a place which is neither the home nor workplace. 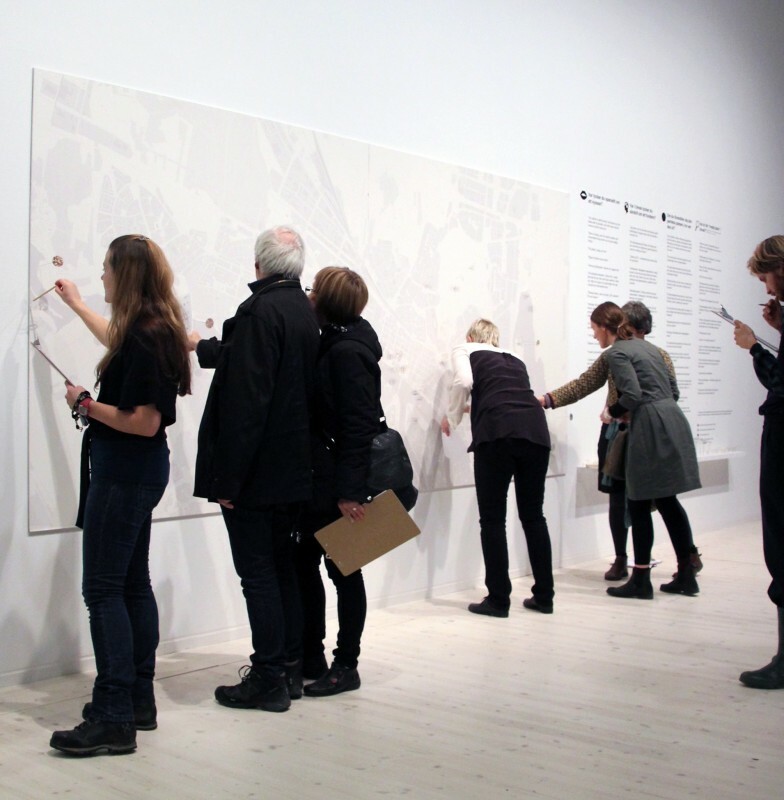 Over the course of the exhibition an alternative map of Umeå will emerge that reveals the public’s more personal and intimate connection with the city.